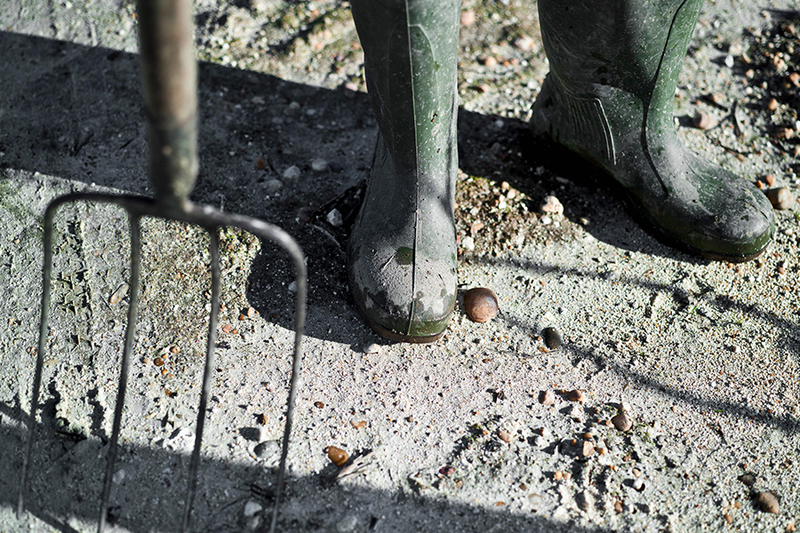 No great wine is made without constant care and attention in the vineyard. From spring to autumn, the human factor in the vines is essential. Throughout winter, the bases of the vines are earthed up to keep them warm (chaussage). 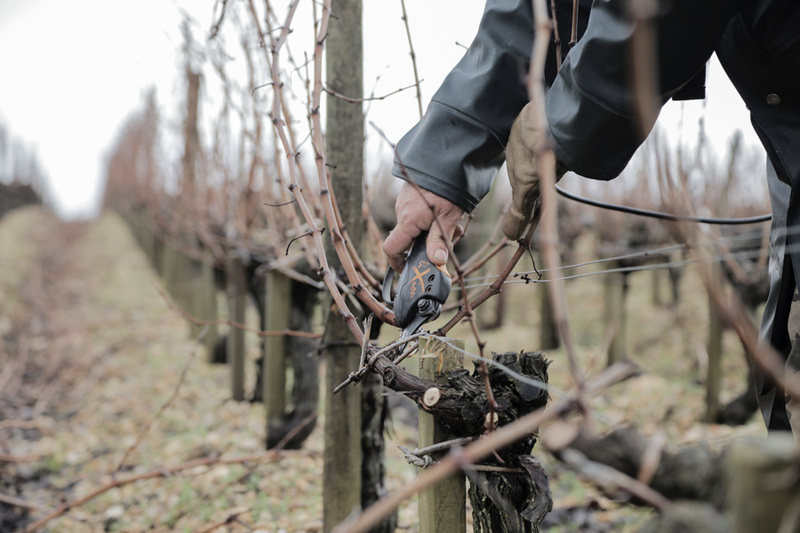 After the pruning, the vines are helped to grow upright by being tied with wicker to a tutor (acanage). The two canes of the vine are gently bent and tied to the tight wire running along the row (pliage). The earth protecting the bases of the vines is moved away to the centre of the row (déchaussage). With milder weather in April, the vines produce their first leaves. Superfluous buds are then removed (ébourgeonnage) along with the sucker shoots on the trunks (épamprage). Then, with the shoots starting to grow in every direction, it is time to direct them into an upright position and tuck them between the two upper wires. Another chaussage/déchaussage ploughing is then programmed. The “quatre façons” ploughing method (two chaussage ploughings and two déchaussage ploughings), along with a working of the soil under the rows, enables weed growth to be eliminated and breaks up any superficial vine roots, thereby forcing the vines to delve deeper for their nourishment. The “quatre façons” also favours aeration and microbial life in the soils. And there’s still more work to be done. 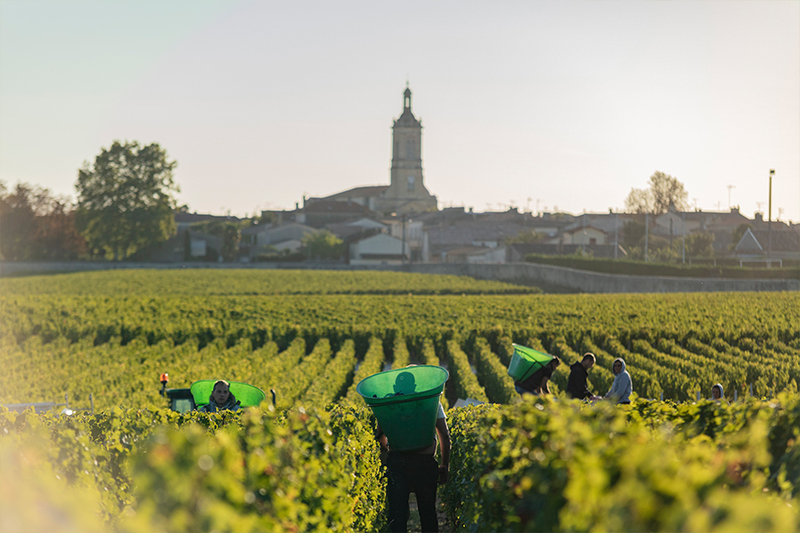 The top of the vine canopy needs to be trimmed (écimage), leaves need to be removed around the fruit to ventilate the bunches (effeuillage) and depending on the size of the crop-load, some bunches may need to be cut away in order to enhance the ripening of the grapes (éclaircissage). 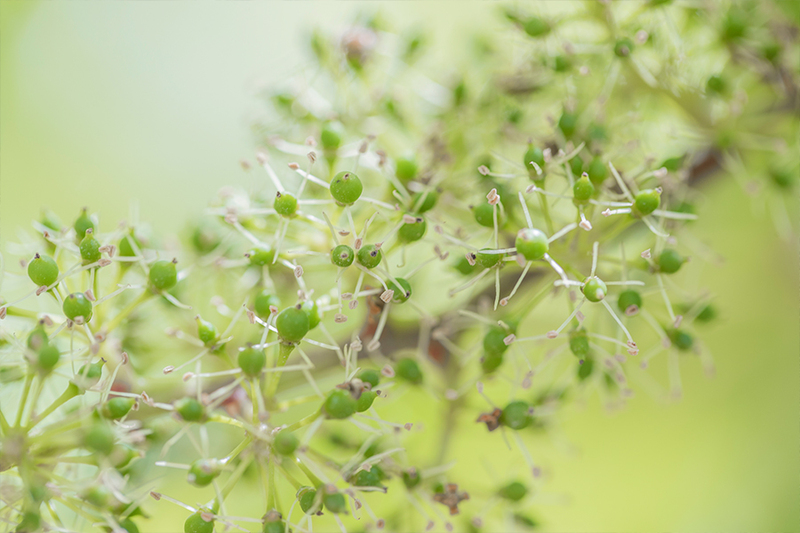 The smaller bunches growing above the main ones are also cut away (grapillonnage). This work enables an even ripening and limits the risk of outbreaks of grey rot. As the harvest approaches, the grapes are analysed and tasted every day plot by plot until they have reached perfect ripeness. The crop then needs to be harvested quickly, which is the reason why the estate takes on up to 120 grape pickers. The harvest always finishes in high spirits. When a vintage is being born, it erases all the moments of doubt and the memories of pleas for help from above. It is the ultimate reward for a year of patience and work.